Process: Low to medium oxidation, rolled leaves, rather strong roasting. Few stems. 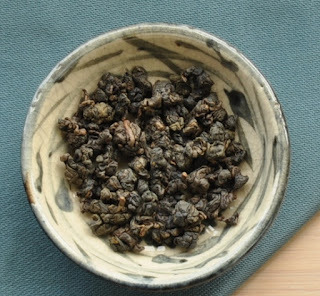 This tea comes from a surplus of Dong Ding competition Oolong from this spring. That's why it has few stems and a high roasting level, which typical for this competition. I've used it during my workshops this July to show the taste of a recent, powerful and well done roast. 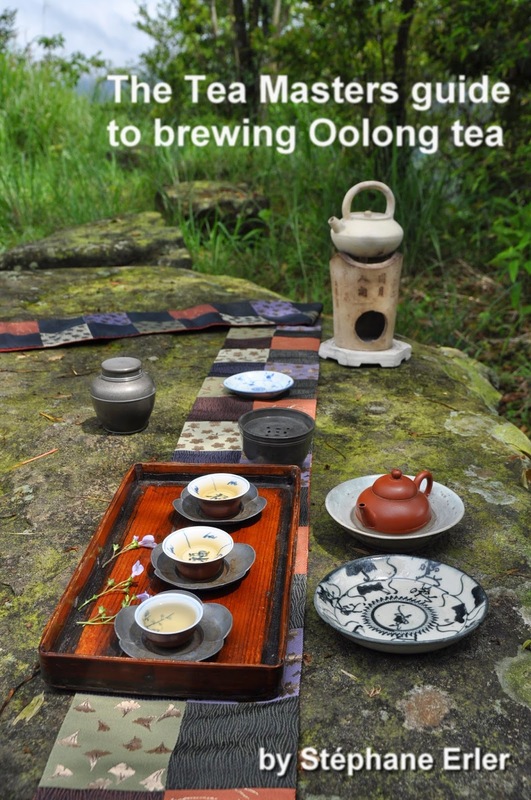 It was interesting to compare it with the 2014 competition Oolong and taste fewer roasting flavors. It's so concentrated and powerful that I use very few leaves. The bottom of the teapot isn't fully covered with leaves. And I pour my boiling water very slowly in the preheated teapot. But I wait several more than a minute for the leaves to open up. 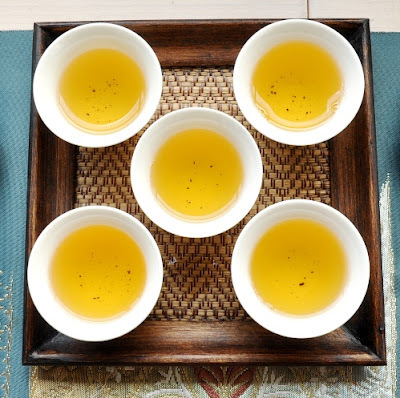 The brew's color in the cup is deep and concentrated with sweet flavors. "This feels so good!" It's thick, rich and sweet, but still completely smooth and pure. The malty and smoky scents combine beautifully with the tea and the aftertaste in the mouth is stunning. 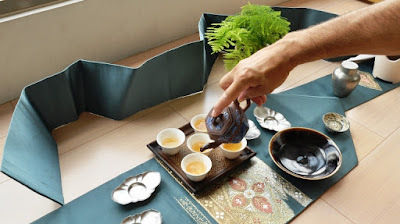 And while the ancient zisha teapot adds to the smoothness, I was surprised by how good it also came out in a simple, white porcelain competition set, provided I pour my water very slowly. 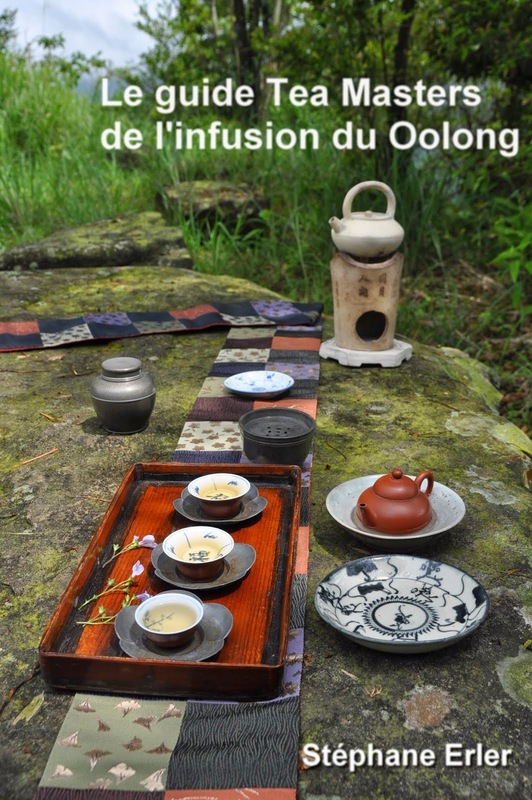 During my 3 workshops, some people liked high mountain, other concubine Oolong or Oriental Beauty better, but there was also a big portion of people who preferred Hung Shui Oolong. Everybody's taste is different and it's not my subject to say which one is best. 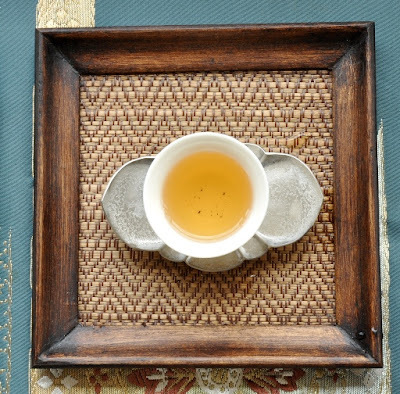 (Disclosure: I love all Oolong types, as long as the quality is high!). But there's something that makes Hung Shui stand out from other teas: the added complexity due to the roasting. 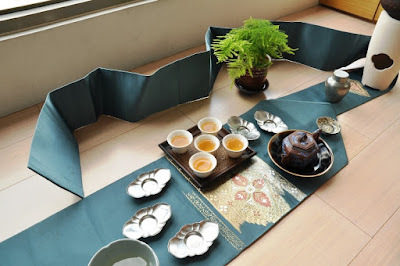 I enjoyed this home Chaxi immensely. 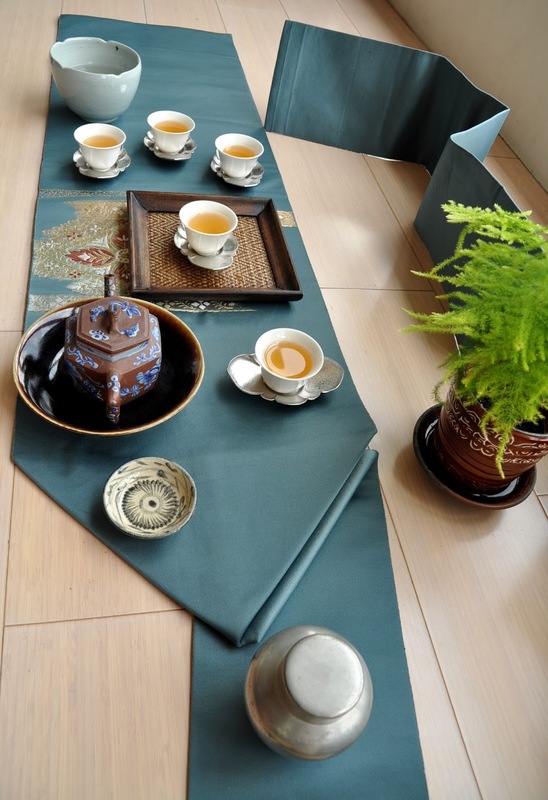 It's so nice to be back and be able to choose from all my Chabu and teaware what would be the most suitable for this Hung Shui Oolong. 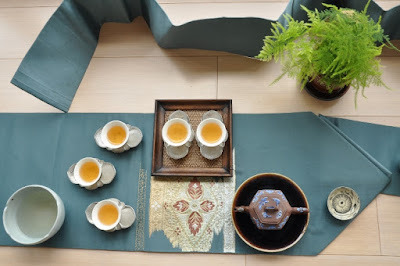 This Chatuo looks really refined with the flower cup!